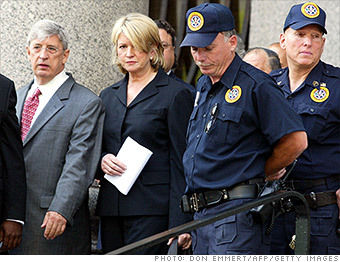 From Martha Stewart to Wall Street hedge fund kings, there have been a number of high-profile convictions related to insider trading. The world's most famous homemaker, known for her ubiquitous brand that includes a TV show on PBS, magazine and line of home goods, was convicted in 2004 of conspiracy and obstruction of justice related to an investigation into her selling of shares of drugmaker ImClone Systems. Authorities said she used inside information of an FDA ruling against a key ImClone drug to sell shares ahead of the negative news and made false statements about it when asked. She served a five-month prison sentence, during which she famously lost in an annual Christmas decorating contest.